WHICH COMBINER DO I NEED? 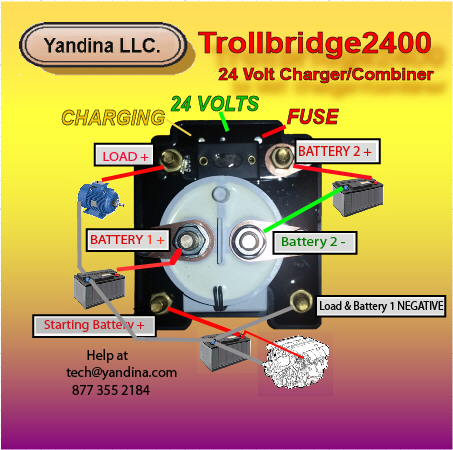 The Trollbridge2400® Combiner allows you to charge your 24 volt bow thruster, winch or trolling motor battery from the 12 volt alternator on your main engine or trailer hook-up with up to 200 amps. 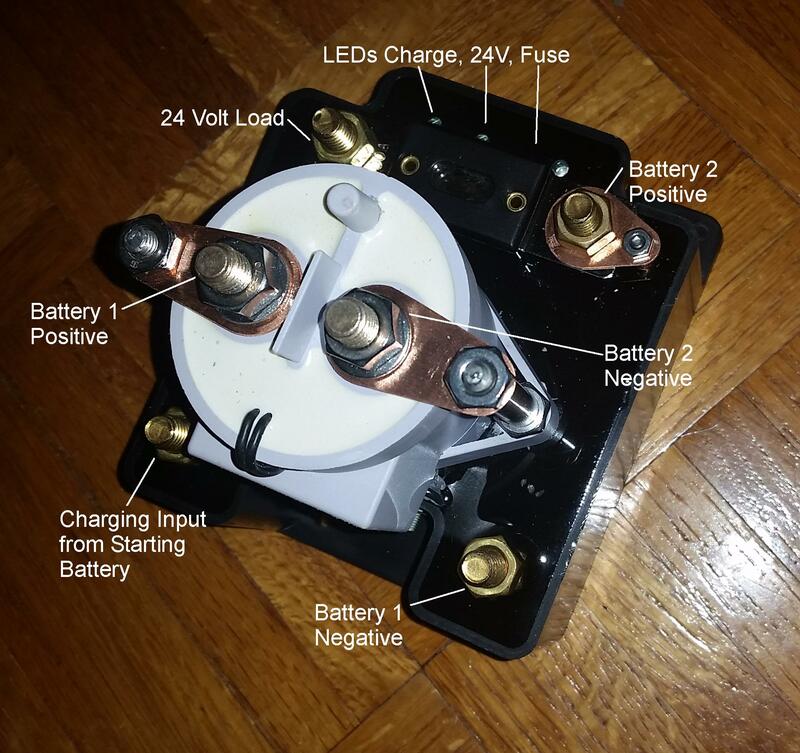 It works by automatically putting two 12 volt batteries in series when you need to run the 24 volt motor and in parallel for charging. It is bi-directional so when running 12 volt loads, both batteries are available in parallel for 12 volt loads. The Trollbridge2400 is suitable for installations with alternators up to 200 amps and 24 volt equipment up to 16 horse power or 500 amps. Required ANL250 fuse (250A) included. If the stalled current of the motor is greater than 250 amps and your cable sizes are adequate, substitute a 500 amps maximum ANL fuse. Customer supplies high current battery cables of sufficient gauge for the 24 volt load and the charging line from the starting battery. Click image for large view. Batteries follow the same multi-step charging algorithm used by the starting battery.